The Pedestrian and Bicycle Information Center (PBIC) is pleased to announce the next free Webinar in its “Livable Communities Webinar Series”. Nationwide, the demand for walkable and bikeable communities is growing, and creating such communities starts with the built environment. Having appropriate pedestrian and bicycle infrastructure reduces the risk of crashes and injuries, as well as encourages healthier lifestyles through more walking and biking for health and transportation. Yet, with transportation budgets continually stretched, finding dollars to build walking and bicycling facilities and improve pedestrian and bicyclist safety can be a challenge. This webinar provides an overview of the cost for installing a variety of pedestrian and bicycle infrastructure and facilities. It provides meaningful estimates of infrastructure costs based on up-to-date cost information from states and cities across the country. With this information, researchers, engineers, planners, and the general public can better understand the cost of pedestrian and bicycle treatments in their communities and, in doing so, make more informed planning, prioritization, and budgeting decisions. PBIC offers free, public Webinars approximately every month. To register for upcoming Webinars and to access archived presentations, please visit their WEBINAR page. . 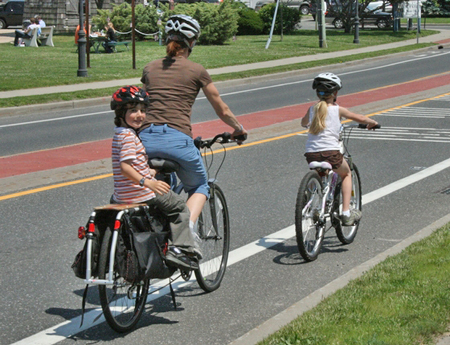 This entry was posted in Bicycling, Meeting / Webinar, Planning, Walkability. Bookmark the permalink.